2) TextboxList : TextboxList turns normal textboxes into a widget which can be navigated with the keyboard, effectively turning your input into a “list” of items that can be easily deleted. It comes with an Autocomplete plugin. 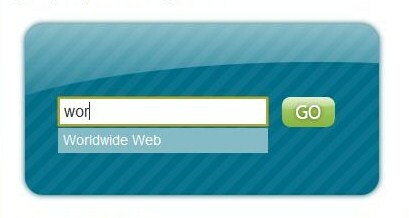 It is mainly supported in all browsers. 3) Drastic Map : DrasticMap is an Ajax-based component that displays data from MySQL in a Google map. 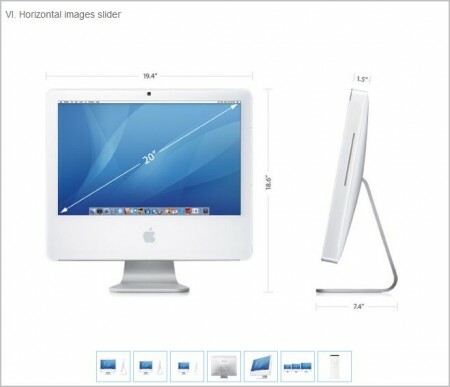 You can configure according to your need and integrate on your website. There are lots of options to play with. 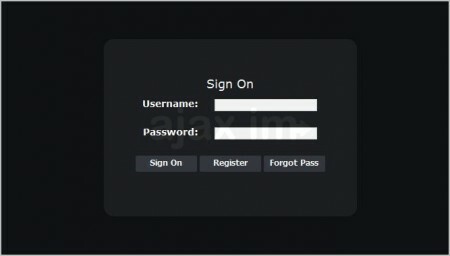 5) Ajax IM : Ajax IM (“Ajax Instant Messenger”) is a browser-centric instant messaging framework. It uses AJAX to create a real-time (or near real-time) IM environment that can be used in conjunction with existing community and commercial software, or simply as a stand-alone product. 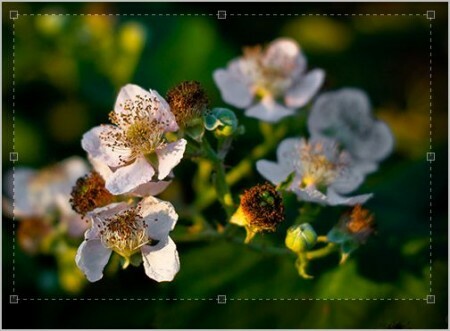 6) Jcrop : Jcrop is the quick and easy way to add image cropping functionality to your web application. 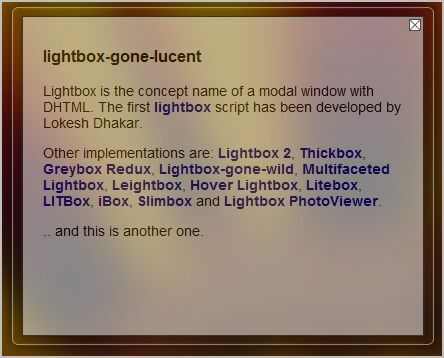 It combines the ease-of-use of a typical jQuery plugin with a powerful cross-platform DHTML cropping engine that is faithful to familiar desktop graphics applications. 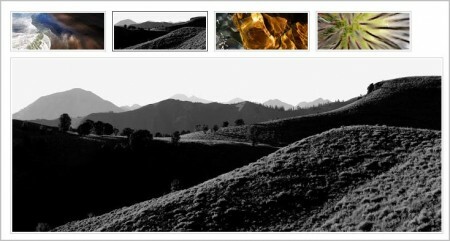 7) INSTANT.js : Instant.js allows you to add an instant picture effect (including tilt) to images on your webpages. It means you can add cool background images. tilt to any side and effects on your webpage. 10) Relay Directory Manager : Relay is a new and easy to use directory manager and you can use it if you are fed up with your hosting company provided manager. It gives you functions likes drag-and-drop files and folders, upload progess bar, thumbnail view, multiple users and accounts. 11) Fancy Upload : Swiff meets Ajax for powerful and elegant uploads. 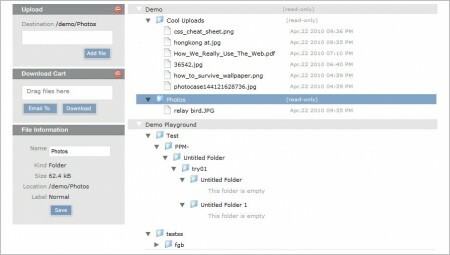 FancyUpload is a file-input replacement which features an unobtrusive, multiple-file selection menu and queued upload with an animated progress bar. It is easy to setup, is server independent, completely styleable via CSS and XHTML and uses MooTools to work in all. 12) Searchfield : SearchField is a simple lightweight, unobtrusive script that adds styling and behaviour to your search form fields. All you need to make SearchField work is a simple form field and 2 lines of code (links to css and js file) and you are ready to rock. 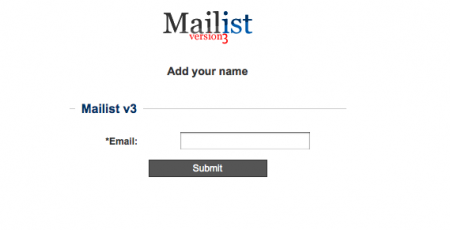 13) Maillist : Mailist is a PHP based subscription mailing list. A stylish interface, twinned with ajax, provides seamless additions with no page reloads. Mailist has customisable email headers and footers, back up options, download (txt or csv) and outbox. 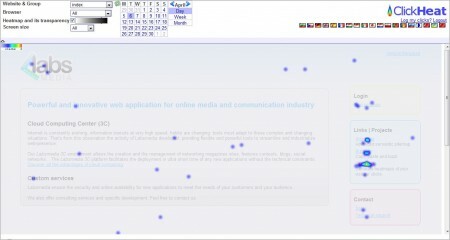 14) ClickHeat | Clicks heatmap : ClickHeat is a visual heatmap of clicks on a HTML page, showing hot and cold click zones. ClickHeat is an OpenSource software, released under GPL licence, and free of charge. 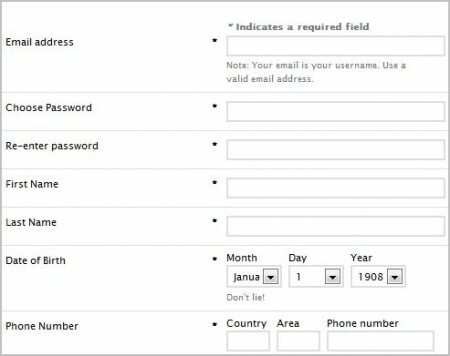 16) Uni-Form : Uni-Form is an attempt to standardize form markup (xhtml) andcss, “modularize” it, so even people with only basic knowledge can get nice looking, well structured, highly customizable, semantic, accessible and usable forms. 18) jwysiwyg : This plugin is an inline content editor to allow editing rich HTML content on the fly. With a small file size total of 7kb in size. It’s an alternative to WYM editor, the main concept is to keep it simple. 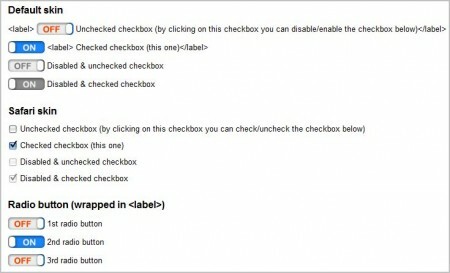 19) jQuery checkbox : It is simple jQuery plugin which is used to add some effects to checkboxes fields in forms. It supports inline and jQuery attached click events and work with radio buttons too. Dynamic skin changing is also there. 20) jQuery.biggerlink2 : It is a simple jQuery plugin to make really easy to enable the specified element/s to behave as a proxy for their first contained link. Uses additional css classes to provide the means for the specified element to visually reflect focus and hover states of it’s contained link/s.